Kenny Chesney can celebrate good times this week on the charts. Last week, Michael Bublé was certainly ‘loved’ as To Be Loved debuted at no. 1 with 195,000 copies. Fantasia may have had her lowest numbers of her career (91,000 copies), but she managed a no. 2 debut, not too shabby for an R&B effort these days, believe it or not. Phoenix debuted at no. 5 with Bankrupt! selling a respectable 50,000 copies – the high water mark for the Parisian indie-rockers. I think I failed to mentioned that Rob Zombie debuted at no. 7 with Venomous Rat Regeneration. will.i.am also bowed in the top 10 (no. 9) with 29,000 copies sold of #willpower. Catching Up With Notable Top 20 Debuts: Snoop Lion‘s Reincarnated bowed a no. 16; Tate Stevens‘ debut album bowed at no. 18.
which according to billboard.com is his 7th. Life On Rock was the unopposed victor for the no. 1 spot in a relatively slow week, selling a respectable 153,000 copies. 153,000 is solid, but Chesney has had better weeks, much like many of his veteran country singer colleagues like Alan Jackson, Toby Keith, and Tim McGraw. Jessica Sanchez misses the top 10. Otherwise, the top 10 only had one other debut with Ready Rogers Band’s Trouble, which debuted at no. 9 with 26,000 copies. I’m not familiar with this particular country band, so I don’t have much insight to provide. But that tells you that a certain American Idol alum (Jessica Sanchez) missed the mark for a top 10 debut. But that’s the business for you. Everybody else was a holdover or reentered the top 10. Michael Bublé didn’t fall too far, no. 2 with under 100,000 more copies sold (96,000). Justin Timberlake continues to do his thing (no. 3 with The 20/20 Experience) while American Idol Season 3 winner Fantasia finds herself inside the top five for a second week (no. 4 with Side Effects of You). With their popularity continuing to surge, Macklemore & Ryan Lewis find themselves at no. 5. Overall, it was a boring week. Lady Antebellum should be in good position next week to top the charts. This week was bigger, perhaps mostly because of Lady Antebellum‘s latest release, Golden, which will probably crown the charts like previous albums Need You Now and Own The Night did respectively. Even with the star power of Lady Antebellum, they have some company who should be competitive. 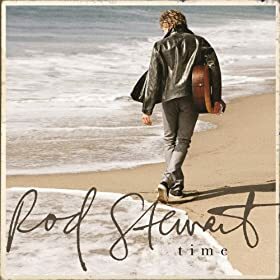 Rod Stewart should also get some love in the top 10 with Time, his new album of originals as opposed to covers. I haven’t personally listened yet, but I’m curious of the rock legend’s diminishing but still distinct voice can rival the power he had on say “Hot Legs“. If his standards sets are any indication, we know the answer to that – just being honest. Also Now That’s What I Call Music, Vol. 46 arrives, usually good for a top five bow. Among other albums released was Pistol Annies’ Annie Up, Dixie Chicks front-woman Natalie Maines‘ solo effort Mother, The Piano Guys The Piano Guys 2, The soundtrack to The Great Gatsby, She & Him‘s Volume 3, and Fitz and the Tantrum‘s More Than Just A Dream.